The school bond measure approved by voters in November 2018 will fund improvements at every 4J school. Every school will receive safety and security improvements, new curriculum materials and technology upgrades for a 21st century education. At every high school, the bond will enhance career technical education (vocational) opportunities and improve athletic facilities to be more equitable for girls and boys. Many schools will have additional facility improvements, depending on the age and condition of the building. Three aging school buildings will be replaced with high-quality facilities built for school safety, modern seismic standards, sustainability, and 21st century education: North Eugene High School, Edison Elementary School and Camas Ridge Elementary School. Gilham Elementary School will see classroom additions and other improvements. 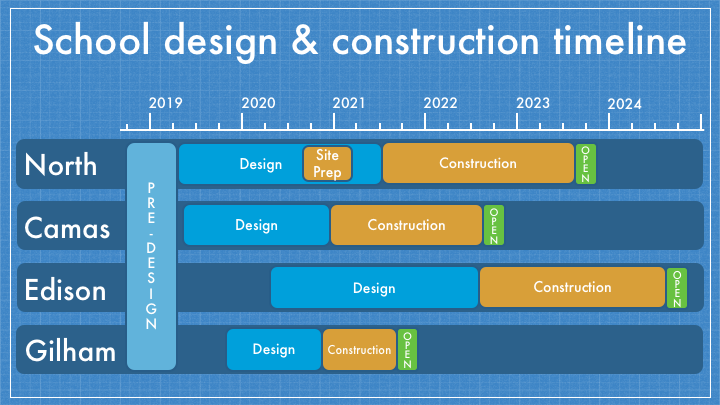 Pre-design work is underway in fall/winter 2018–19. 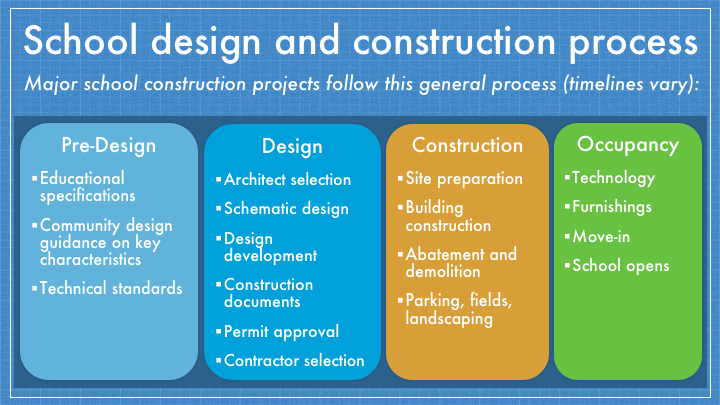 In spring 2019, the district will select architect teams and begin the design process for the first projects. 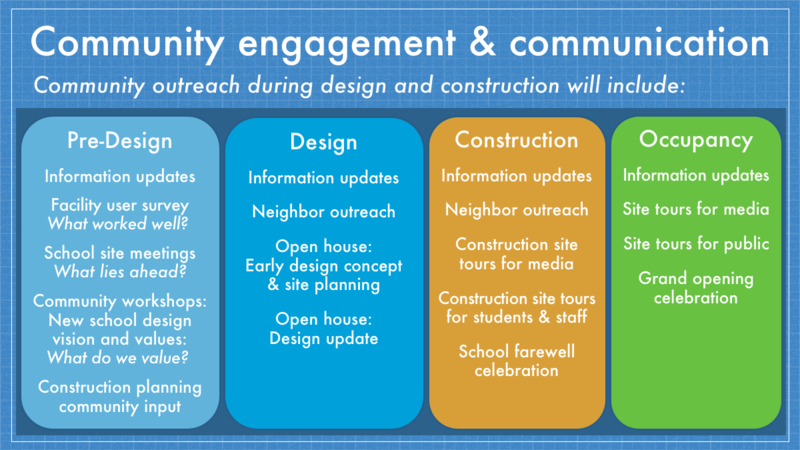 There will be opportunities for information updates and community engagement throughout the design and construction process.